Today, the best hackers in the world competed in the Global CyberLympics final during Cyber Security Week in The Hague. This is an international online hacking competition aimed at improving the level of national cyber security and strengthening international cooperation. The Dutch Team Hack.ERS came out as the glorious number one. The Global CyberLympics consists of a series of ‘ethical hacking’ games in which – after months of preliminary rounds - 80 participants from eight different countries from four continents physically compete in teams in the grand final in The Hague. Team Hack.ERS won the competition. 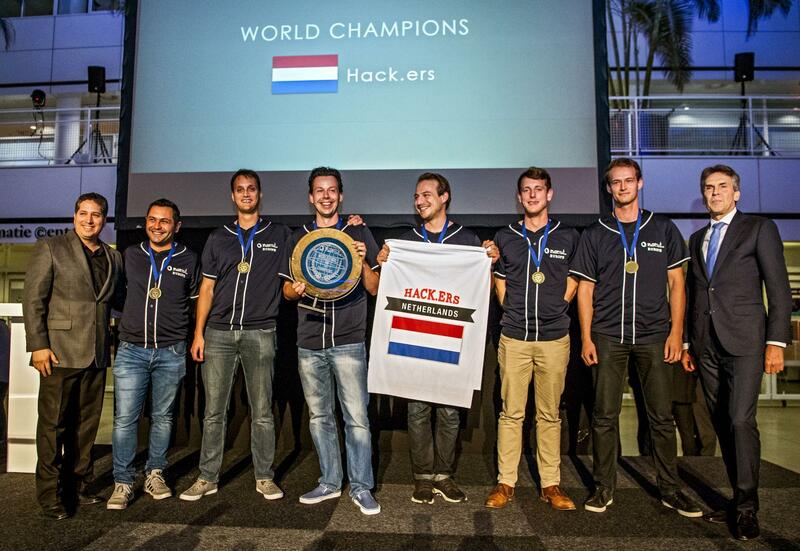 It’s no coincidence that the final of this international hacking competition took place in the Netherlands. Because the Netherlands have long been pioneers when it comes to actively working with the hacking community to expose digital vulnerabilities in the government and industry before any damage can be inflicted. In 2013, the Netherlands was the first country to formally establish a guideline for responsible disclosure which can also serve as a guideline for other countries. Cyber Security Week The final of the Global CyberLympics is part of the Cyber Security Week taking place in The Hague from 25-29 September. During 80 events, around 3000 visitors and hundreds of experts in the field of Internet security and cybercrime from the government, industry and science spend a week together sharing their knowledge, discussing the latest developments and pitching new innovative ideas. The CSW reinforces the position of the Netherlands – and The Hague – as Cyber Security Capital of Europe where people and institutions work together harmoniously to guarantee international cyber security: Together We Secure The Future. The Cyber Security Week is an initiative of The Hague Security Delta (HSD), the Dutch Security Cluster, in partnership with the municipality of The Hague InnovationQuarter, The Conference The Hague, Deloitte and hundreds of other partners.